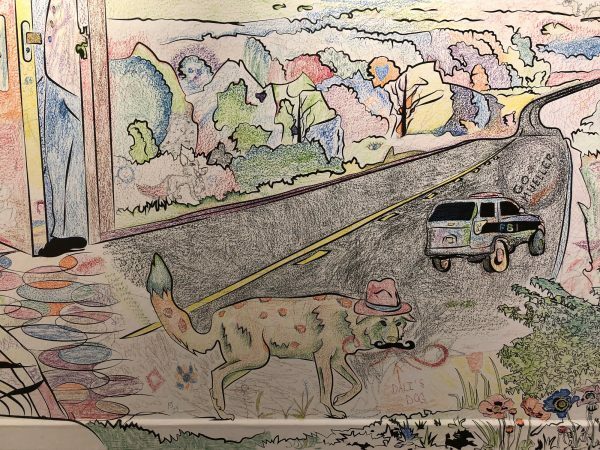 Coyote Now Epic - RYAN! 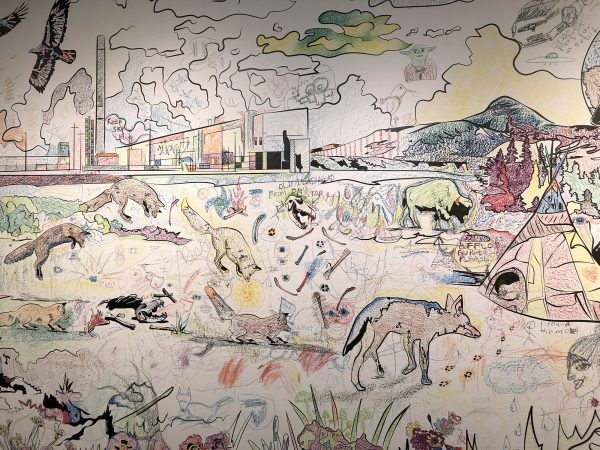 Coyote Now Epic, created for the Santa Cruz Museum of Art and History, was the largest iteration of the Coyote Now saga to date, covering the walls of an entire gallery floor-to-ceiling. 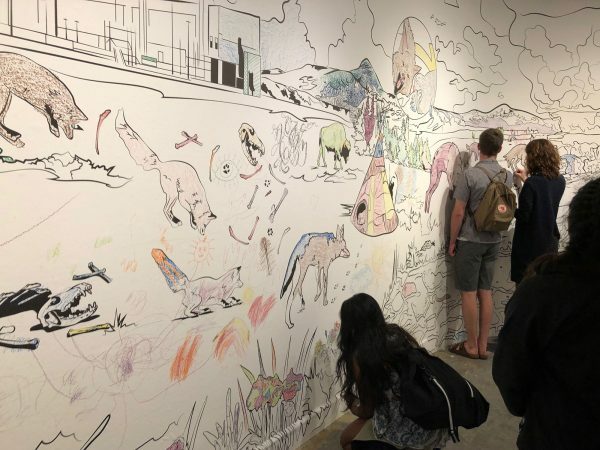 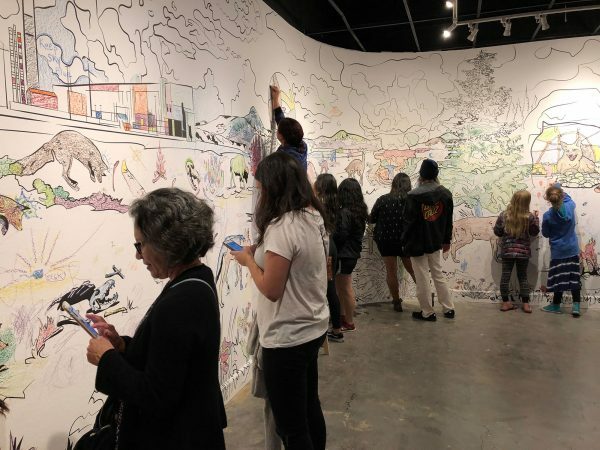 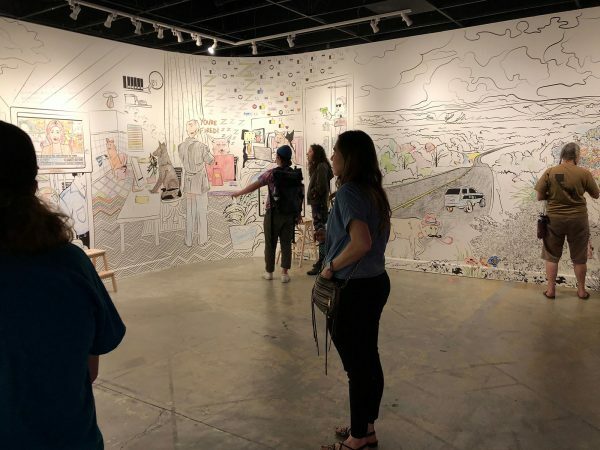 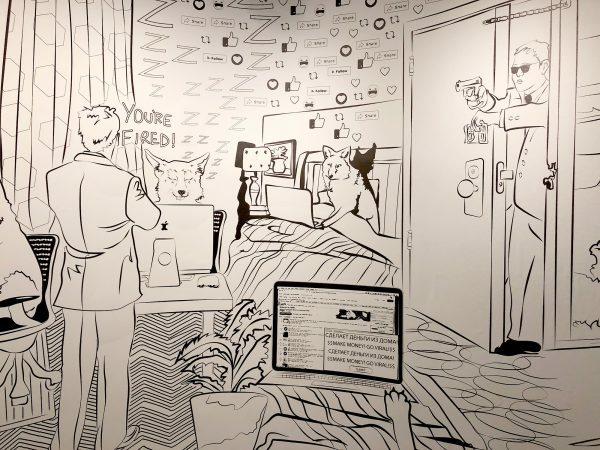 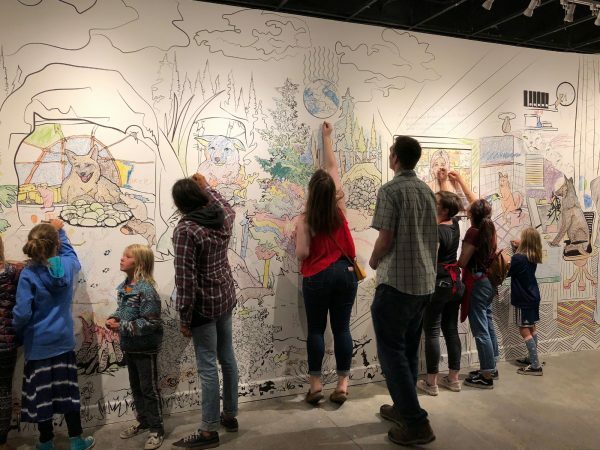 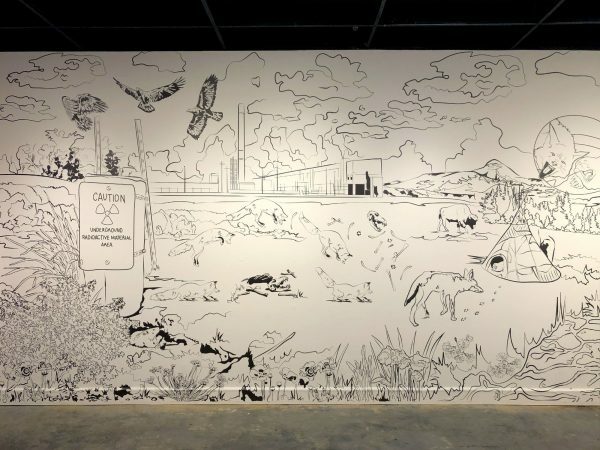 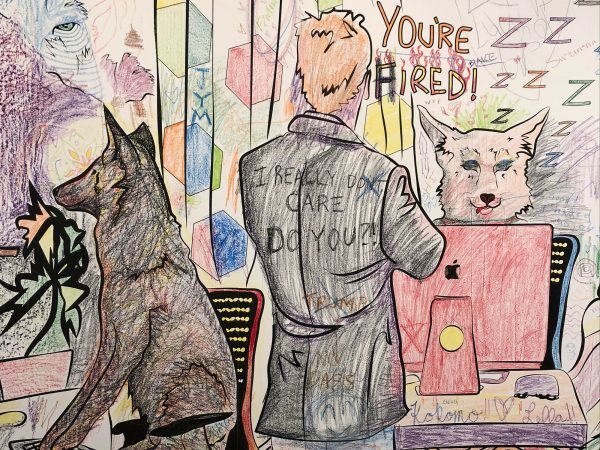 This immersive work was an invitation to think about the trickster, Coyote, as an active player in contemporary events through a large collaborative drawing & coloring installation. 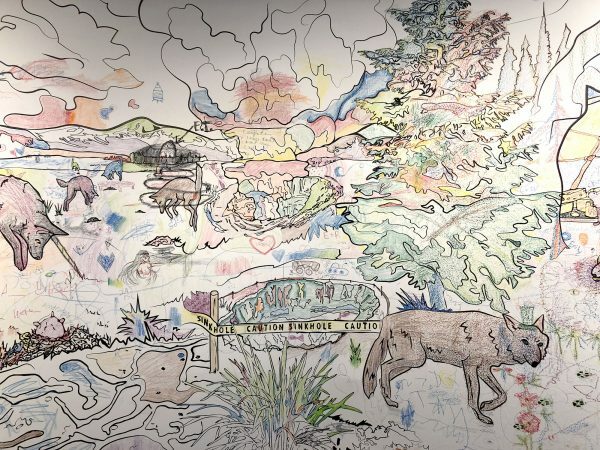 Paired with crayon cast Coyote bones, his immortality becomes metaphorically linked to creativity.